Amarillo Dart Association - West Texas Dart Assoc. Check out the new West Texas Dart Association Facebook page. Go give it a LIKE for updates on their schedule, stats and events. West Texas Dart Association is a sister association to Amarillo Dart Association. Amarillo Dart Association members branched off and started West Texas Dart Association; giving Amarillo Darters two Associations to shoot with! The West Texas Dart Association (WTDA) was started in 1996. The WTDA was formed as a charity league with about 40 players and 6 teams. That number has increased and decreased over the years. The WTDA throws darts at various local bars, on Thursday’s at 7:30PM, from September to April. 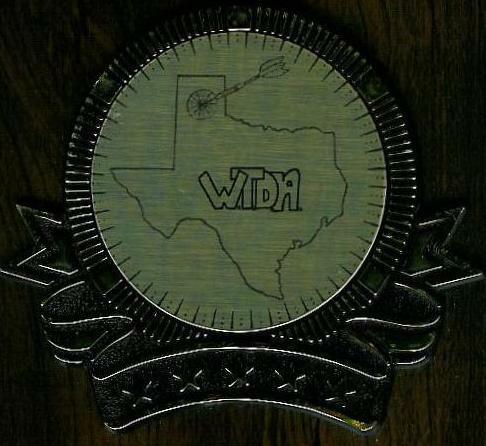 WTDA's purpose is to give to charity and to promote the sport of darts in the Texas Panhandle. The WTDA is a great charity dart family. We accept all players (male & female) and are always looking for new and/or more players. Since 1998 WTDA has donated $46,674 to Make-A-Wish and Muscular Dystrophy Association. Check their facebook page for information.